About Us - Danyang Sinodream IMP&EXP Co., Ltd.
Jiangsu Dongri Group is a high-tech company who specializes in elevator andescalator parts, machinery parts, auto parts, and hardware tools and power tools development, manufacture and trade. 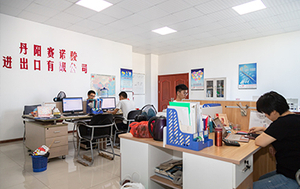 The company's production bases are located inShanghai, Guangzhou, Chengdu and Danyang. 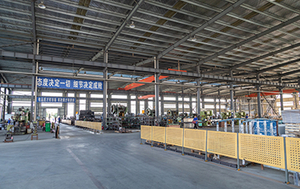 Jiangsu Danyang production base is located in High-tech Industrial Park Mai VillageYunyang Town which adjacent to the Beijing-Shanghai high-speed rail, Shanghai-Nanjing Expressway and 312 National highways. The transportation is very convenient,in the north there is Dagang ten-thousand-ton deep-water port and in the south isChangzhou airport. The base covers 20000 square meters, construction area accountsfor 8000 square meters. We have more than 100 existing staff, including 10 seniorengineers and 15 intermediate technical specialists, with over 20 large-scalemachinery and equipments. Our major clients include ThyssenKrupp China Co. Ltd., Suzhou Fujitec elevator,Schindler, Jiangsu Kawei heavy industry etc. 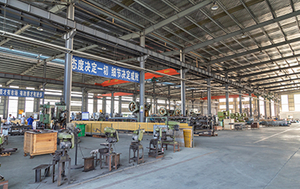 Danyang Sinodream IMP&EXP Co., Ltd. is afflited to Dongri Group, the main business is importing and exporting elevator, machinery, and automobiles parts, diamond sawblade, alloy saw blade, many kinds of drill bits, cutting tools, grinding tools, power tools and small garden tools. Our products are exporting to the United States, Europe,Middle East and southeast Asia and many other markets. Customer satisaction' is our eternal purpose of serving; 'Continuous quality improvement' is our eternal policy. We insist on taking high quality, good service to our customers. As a Chinese poem says "a bosom friend afar brings a distant land near." Sino Dream people will, as always, carry forward practical, entrepreneurial, and constantinnovative spirit, holding your hands to create a bright future. If you have any questions, please contact us via email or telephone and we will get back to you as .